Intel has announced Compute Express Link (CXL) which it headlines as a "milestone in moving data". CXL is a new interconnect technology, designed to solve the challenge of improving performance and removing bottlenecks between CPUs and other important computing system components like GPUs, memory and FPGAs. 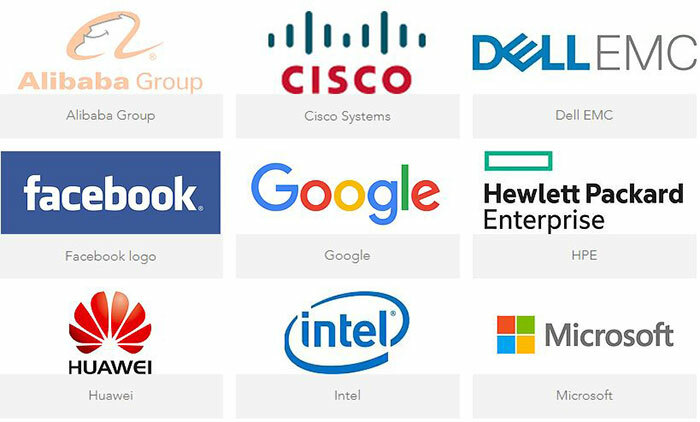 Intel has got together with Alibaba, Cisco, Dell EMC, Facebook, Google, Hewlett Packard Enterprise, Huawei and Microsoft to found the CXL Consortium to promote and push for adoption of CXL in the industry. Importantly Intel, which has solely developed the technology over the last four years, has made CXL an open technology while donating it to the consortium, meaning members of the consortium are free to use this IP without licensing fees. In an official blog post, Intel's Navin Shenoy likens Intel's role in CXL to how it has worked previously on the USB and PCI Express standards. Shenoy explains that Intel sees CXL as an important technology due to "the explosion of data and rapid innovation in specialized workloads – like compression, encryption and artificial intelligence (AI)". In modern heterogeneous computing systems, which are best suited to those workloads "CXL is a key technology that enables memory coherence between the accelerator and CPU, with very high bandwidth". More specifically, Shenoy underlines the fact that CXL "creates a high-speed, low latency interconnect between the CPU and workload accelerators, such as GPUs, FPGAs and networking". Another important aspect of CXL is that it runs across the PCIe 5.0 bus. Intel is developing CXL-infused Xeon processors, FPGAs, GPUs, and SmartNICs that will debut in 2021. This statement helps us get a grasp on a rough timeline for CXL and PCIe 5.0. The CXL consortium partner names mentioned above are impressive but PC enthusiasts will have probably noticed that AMD and Nvidia are absent from the partner list, at this time. I'm not sure if AMD and Nvidia will be interested in CXL or some rival next-gen interconnect technology. However, they will be free to join the consortium, and we will watch for any such announcements. Indeed Intel says that it expects more companies to join up and contribute to the next iteration of the CXL spec. The actual CXL spec is absent from public view at this early stage. The first gen spec will become available to consortium members shortly, giving plenty of time to get ready for 2021 platforms and devices. Hmm, so Nvidia win out in the bidding war for the big company specialising in high speed interconnects and Intel suddenly “announces” this with no specs or information. Granted it would have taken a while to get the companies on board but I bet this was their plan B and they'd have ditched the whole thing if they'd have won the bidding war. This is “please don't abandon us, look we can do it, too!” marketing. Maybe they're hoping Nvidia will join up and so they can get access to some of those juicy patents they missed out on. Business is business. No matter the intention, it is good that they are countering their loss making their technology open. If AMD joins them it can create significant threat for nVidia. NVidia is known from implementing their own s*** and making it necessary but with this as a counter, having 2 big players against… let's see what happen. The CXL consortium partner names mentioned above are impressive but PC enthusiasts will have probably noticed that AMD and Nvidia are absent from the partner list, at this time. Not just those two (although noteworthy), what about IBM or Qualcomm, ARM etc? PCIe 4.0 also seems a touch late to the party, considering PCIe 5.0 effectively doubles the bandwidth available, seems more like Intel is pushing this spec more to put it at an advantage when they release discrete graphics cards….